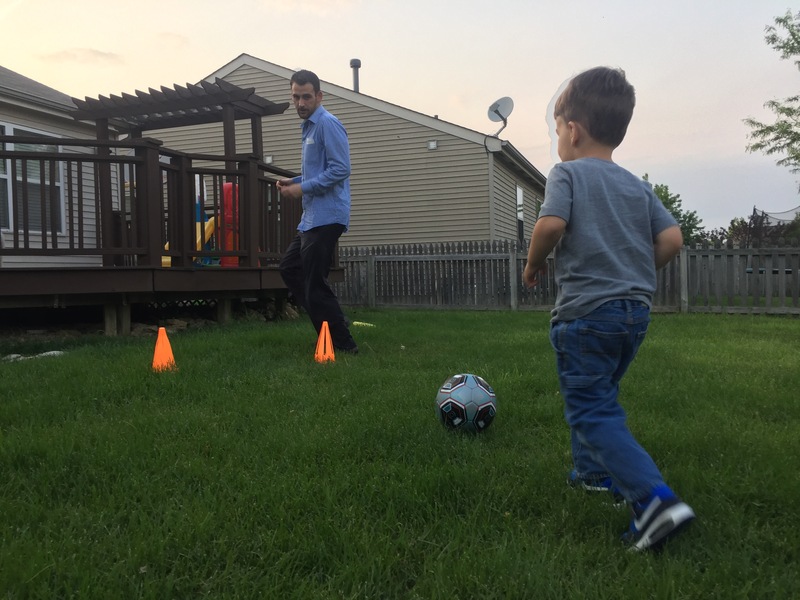 Mikey had his first official soccer practice Tuesday night. He was so excited to go and he danced, kicked and ran his way right through it. I’m still convinced there’s nothing cuter than a bunch of 3 year olds exercising and running down a field together. I of course didn’t realize we were supposed to bring our own soccer ball so Mike had to play with a rainbow kickball we happened to have in our car. Luckily as a mom of boys there never seems to be a lack of balls in my car. To watch video of Mikey’s first practice click here. Mikey had a blast and hasn’t stopped talking about it since. 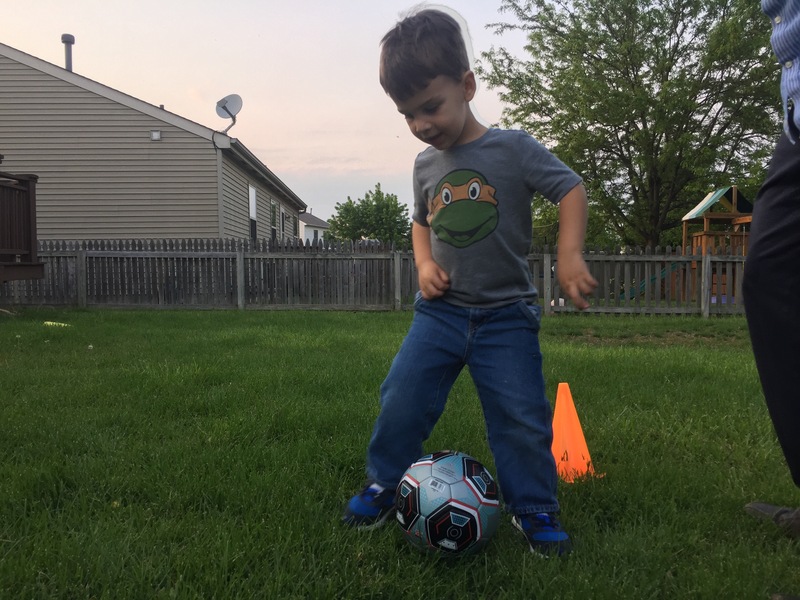 We took him to get his first real soccer ball tonight. 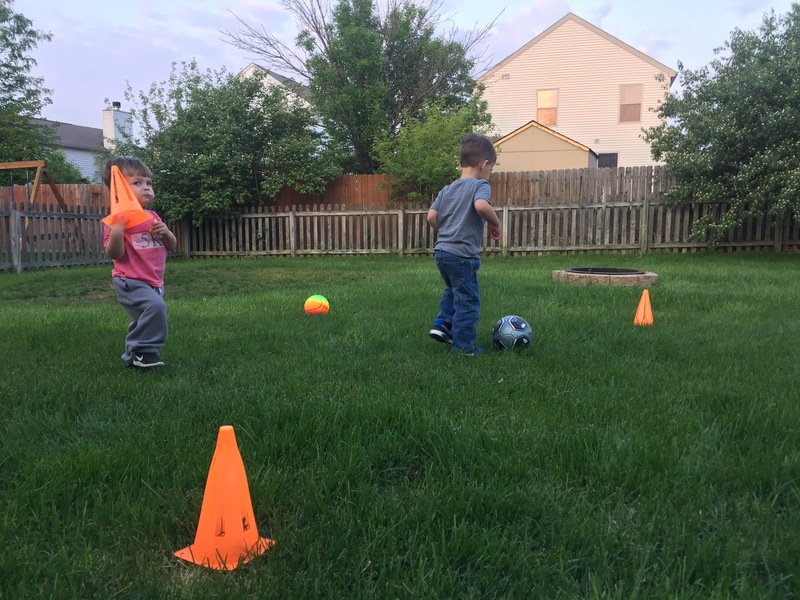 He couldn’t wait to get outside and practice when we got home.